Bo & Carlos are pictured above. On Friday, March 22nd, we had an employee breakfast and celebrated years of hard work from a dedicated employee. Here at SERVPRO, you'll see us referring to our employees as our "SERVPRO Family" and we really mean that. Carlos has done just that. He's always come to work with a positive attitude and has always been a dedicated member of the team. 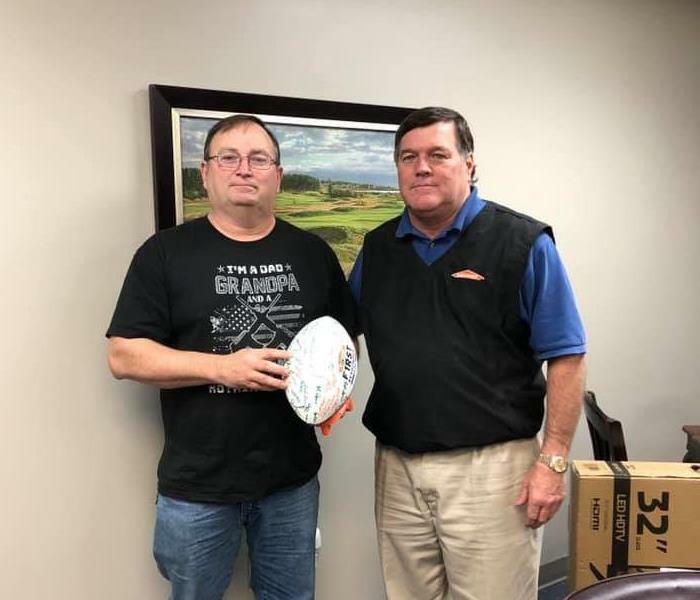 It is hard to say goodbye, but we are thankful to have had him as a part of the SERVPRO family. 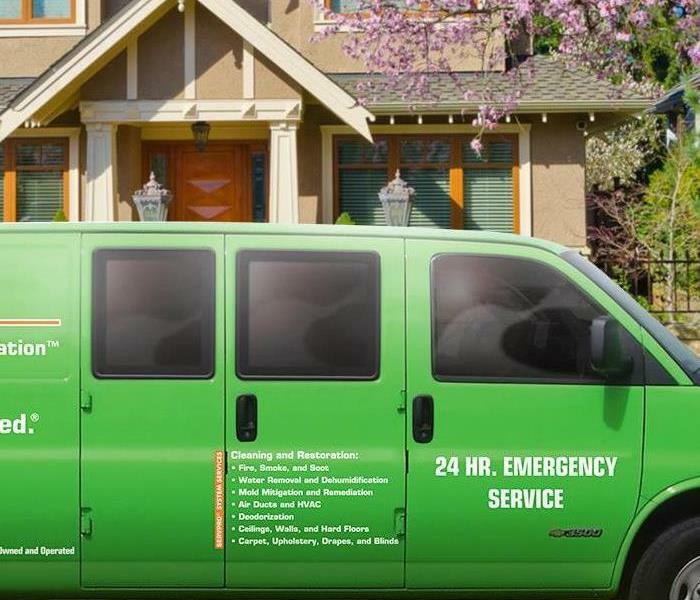 Here at SERVPRO of Lee County, we know that the last thing you're thinking about is the claims process when disaster strikes your home or business. That's why we help manage the insurance paperwork and process. Let's talk about what a Job File Coordinator is and what that means for you as our customer! A Job File Coordinator performs tasks related to customer calls, job monitoring, tracking, coordination, and audits of jobs. They also create preliminary estimates (and this is just to name a few of the many tasks that our amazing job file coordinators help us with on a daily basis). But, what does this mean for you? This means that you'll have someone in our office who is your dedicated point of contact. They will monitor your job (by communicating with our production team) and work with your insurance company and make sure that you're kept up-to-date every step of the way. We know that Alabama storms don't wait for business hours. We know that water leaks don't wait for a weekday. We know that fires don't discriminate. That's why we are here for you 24 hours a day, 7 days a week, 365 days of the year. We are locally owned and operated. This means we are close by and ready to respond when disaster strikes your Lee County, Alabama, home or business. We have highly trained technicians and state-of-the-art equipment ready to respond and to properly clean and restore your house so that it feels like home again. SERVPRO of Lee County is locally owned and operated, so we’re already close by and ready to respond immediately when you need us. We make disaster "Like it never even happened." Give us a call today at (334)-821-4858! Joe Walden (Smiths Station's Fire Chief) and Jim Culpepper (Owner) pictured above. At our Business After Hours event with the East Alabama Chamber of Commerce, we had a TV raffle to raise money for a local family who recently suffered fire damage at their home. That local family was the family of Smiths Station's Fire Chief Joe Walden. We raised $350 and matched that as a company to donate a total of $700 to his family. The attendee who won the television in the raffle asked for it to be donated right back to that family. Thank you to our generous community for helping us make this happen! We also wanted to share a comment on our Facebook post from a former employee Lois, "I’ve been retired from this SERVPRO for almost 4 years and I am still proud to say, THAT’S MY TEAM!! 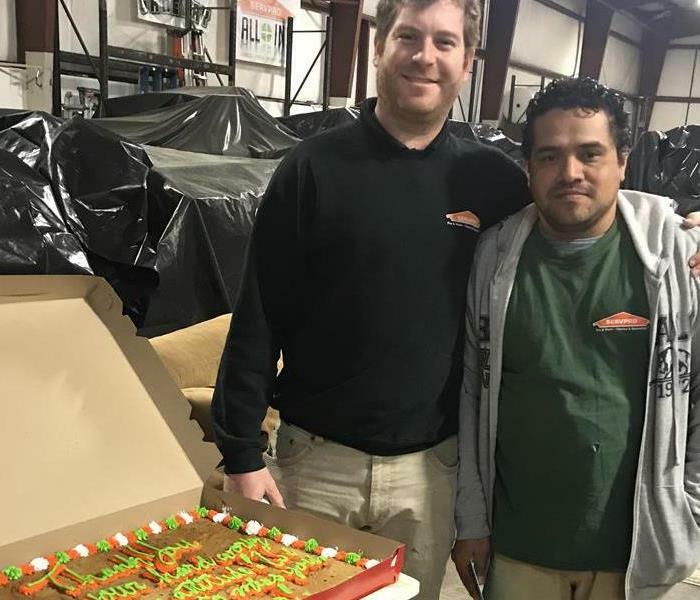 When we say SERVPRO family, we mean it. Thank to our local community for letting us help you all in your times of needs. We are so proud to serve this local community. Let's talk about content restoration. We know how much your belongings mean to you. They're more than just content; they're photos, they're your babies first outfit, they're memories. We understand that. That's why we pride ourselves on being able to do our best to Restore > Replace. Here at SERVPRO of Lee County, we know that timing matters. That's why we are here to help 24/7/365 when disaster strikes your home or business. Each situation involving water damage is unique in it's own way, which means that it requires a unique solution. We quickly extract the water and then dry your property using state-of-the-art equipment. But, why else does the timing matter when water is involved? One word: mold. Mold can spread quickly (within as little as 48 hours). Each situation involving mold is unique as well. We have the training and the equipment to quickly remediate the mold damage affecting your home or business. Do you think that mold is affecting your Lee County home? Give us a call today at (334) 821-4858. 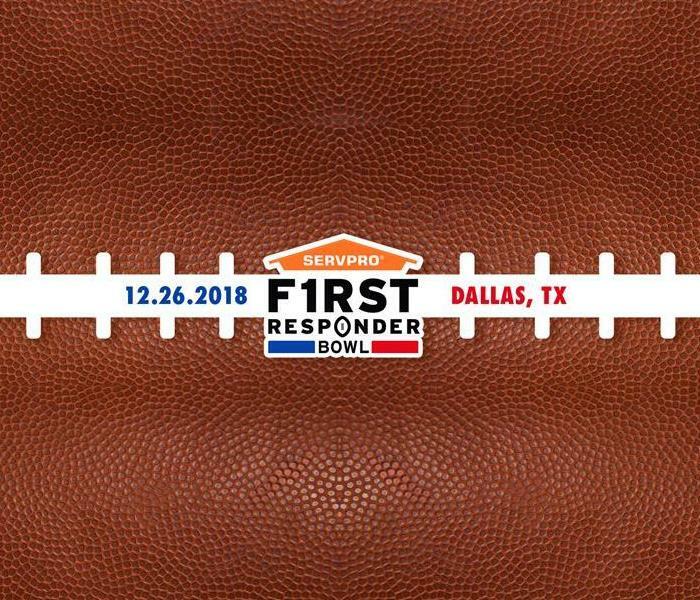 SERVPRO is proud to announce the inaugural SERVPRO First Responder Bowl being played at historic Cotton Bowl Stadium. The newly renamed bowl is designed to honor the sacrifice and service of the brave men and women who are the first line of defense in local communities like Lee County, Alabama, when the unexpected or the unthinkable happens. Kickoff for the event, televised by ESPN, is December 26 at 1:30 ET, featuring Boston College and Boise State. We have been busy, busy, busy with this hurricane season. We are actually still in Panama City, Florida at the time of writing this. We've been sharing a lot of photos on our social media so use the links in the right hand corner of this screen and follow us to stay updated. Storms are devastating but they also can bring communities together. We have seen that happen time and time again. It is absolutely beautiful to watch everyone come together to help each other and we are so thankful that we get to be apart of that! We come from an outside community and jump right in to help others and work with SERVPRO's from across the country who do the same thing. That is amazing. Our employees have worked SO hard and we can't say "thank you" enough to them. We are so proud to be able to work with you guys every day and to have employees that care so much about our customers. Thank you guys for all you do for us and for our customers. We've already shared that September is National Preparedness Month and we're already well into the second week. We wanted to make sure that we took time to dedicate a whole blog post to this year's theme: "Disasters Happen. Prepare Now. Learn How." It is so fitting for us to share and is at the core of our business. We want to help you prepare, which is why we are sharing tips on our blog and our social media (click those icons in the top right corner of your screen if you aren't following us already). The Ready Campaign said it best when they mentioned this on their website, "Take time to learn lifesaving skills − such as CPR and first aid, check your insurance policies and coverage for the hazards you may face, such as flood, earthquakes, and tornadoes. Make sure to consider the costs associated with disasters and save for an emergency. Also, know how to take practical safety steps like shutting off water and gas. The devastating hurricanes and wildfires of 2017 reminded the nation of the importance of preparing for disasters. 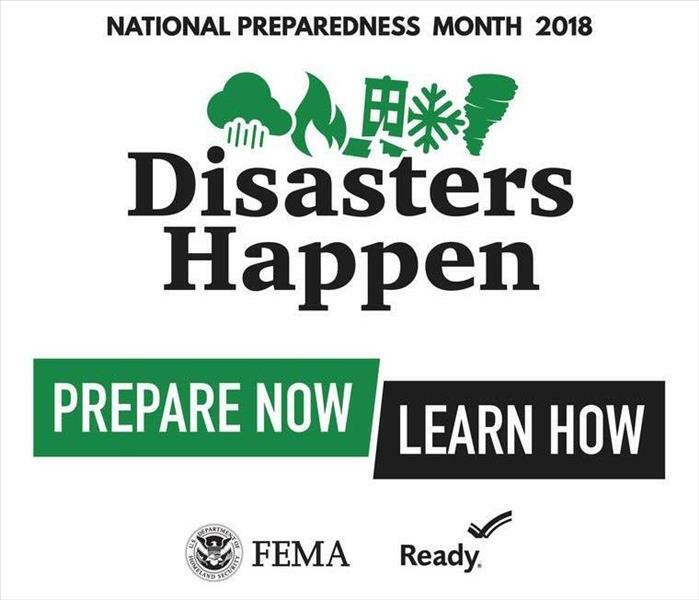 Often, we will be the first ones in our communities to take action after a disaster strikes and before first responders arrive, so it is important to prepare in advance to help yourself and your community." Disasters don't plan ahead but YOU can. How are you getting prepared this month? Let us know! 3/24/2019 - We Will Miss You, Carlos! 1/16/2019 - Mold in Your Lee County Home? 10/31/2018 - Let's Talk Storms. 9/14/2018 - Disasters Happen. Prepare Now. Learn How.